After a pretty boring year from Samsung in the flagship segment, the South Korean giant is expected to go all-out in 2019 with the anniversary Galaxy S10 series. And if three new trademarks are any kind of indication, one of the standout features may be a new facial recognition tech. Over in its home country of South Korea, Samsung recently filed trademarks relating to ‘Dynamic Vision,’ ‘Private Vision,’ and ‘Detect Vision.’ These all appear to relate to some kind of advanced facial recognition system. However, the company will probably settle for just one name once the tech is announced. While the specifics aren’t mentioned, dynamic vision sensors from Samsung have been teased in the past. In fact, a previous version of the tech allowed video recording speeds of up to 2000fps. Although this is overkill for regular videos, it helps immensely with the creation of 3D maps, something that will help considerably with the accuracy of facial recognition tech. In addition to the potential inclusion of this technology, the Galaxy S10 series is expected to debut with an all-screen design that makes use of a display hole in the corner, and an in-display fingerprint scanner. The smartphones will also arrive with multiple rear cameras and either Samsung’s Exynos 9820 or Qualcomm’s Snapdragon 855. 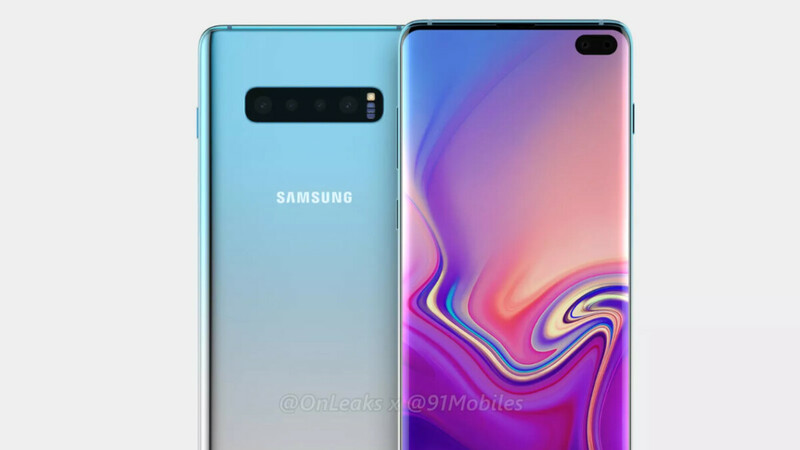 The three models are expected to go official in late February at MWC 2019. Sales of the smartphones will then presumably commence by the middle of March, although this timeline is yet to be confirmed officially. Is this a 3D Facial recognition like Apple’s FaceID? They should work on making 4k video recording unlimited. Apple is the best in video recording cam. Haha. Funny. 4K doesn't compress fairly well. 128gb could be blown thru in less time then you think. However, if it supports uhs-2 cards, then I'd imagine the limit lift. As, uhs-2 is plenty fast to support it. Specially, if they intro. a 512gb card. Plus, thermal issues may arise. How many 4k clips can an 512gb iPhone carry, along with pics, and other on board media before full? Not as much as a phone with 640gb or possibly a terabyte. Go to bed, littleboy. 450 GB gives one 19h of 4k@60 continuously filmed video (45h of 4k@30 - the quality of the Android phone cameras). Is that not enough for you?